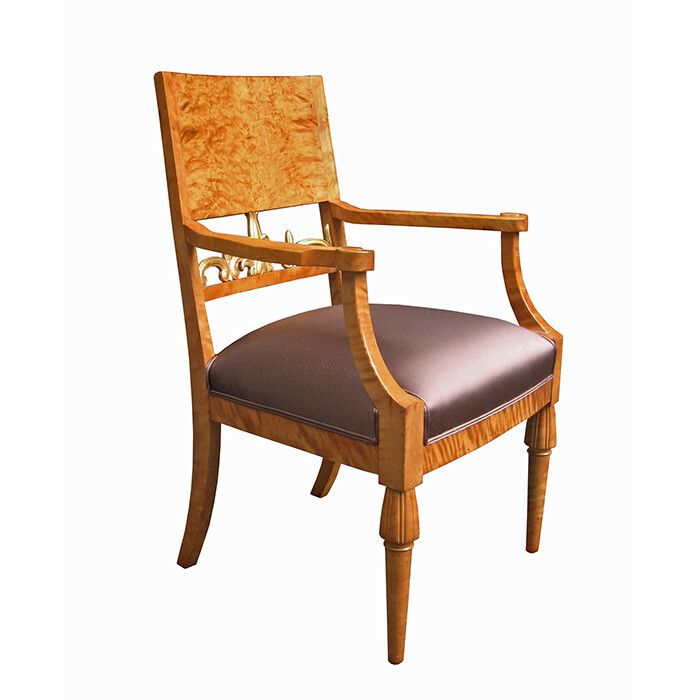 A fine pair of Neoclassical armchairs. 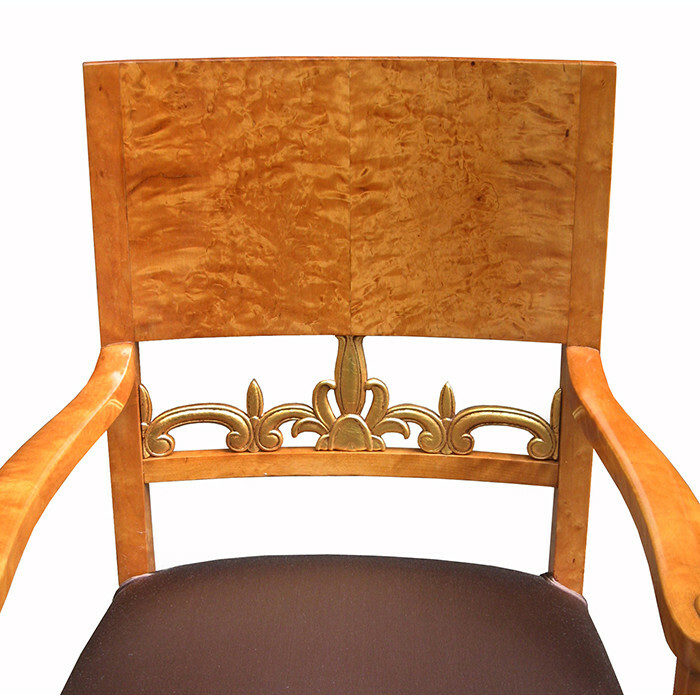 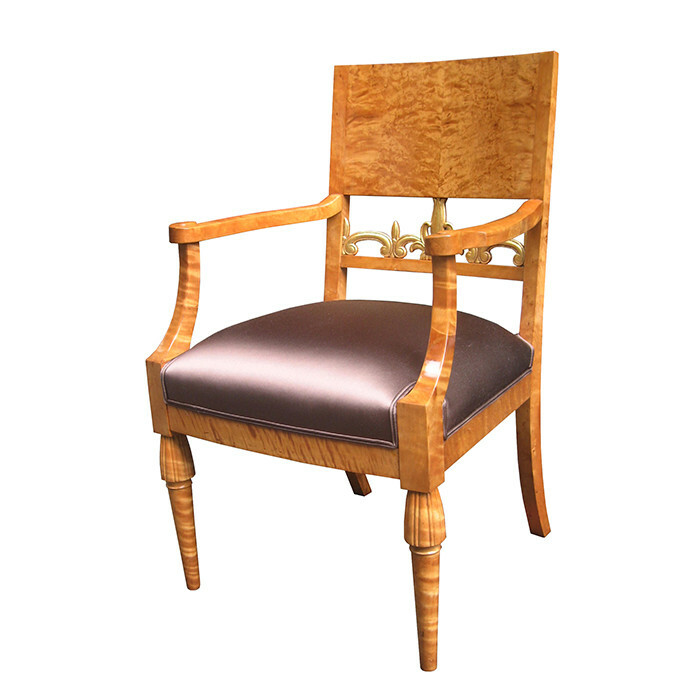 Karelian Birch with carved details and central carved giltwood detail on the backrest. Dimensions: H:36 W:22½ D:22 Seat H:20 Inches.